I have a question for you all: What is the first thing you do after waking up? I bet you are just like me. The first thing I do on a morning when I open my eyes is grabbing my phone and check the notifications and of course, check Instagram! Believe it or not, checking my Instagram will boost my brain to start a new day! LOL. Who else is there like me? I remember there was a time that I wished for a visual (and just optical social media) to share some of my newest shots on it Or to find my old childhood friends and see what they look like now! There was one time I cooked a delicious pizza, and It looked like it came from heaven! I wanted to take a picture from it and show it to every people I meet for the rest of my life! Such a pitty Instagram wasn’t there to help me! So thank god for Instagram right? 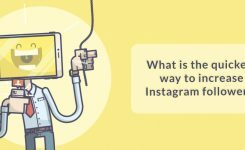 So in this article, I had a little research to find out what is the history of Instagram and why is it this much popular? 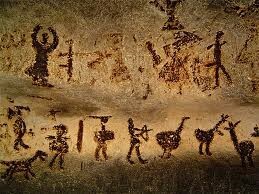 Before learning how to write, humans contacted through cave paintings. 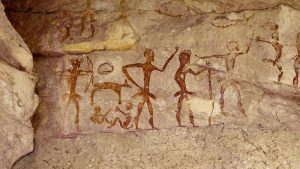 Why did man find a need to paint on the walls of his caves? To express feelings and a lot of other things! Reread it without considering the cave; it’s like the uses of Instagram! On the other words, Instagram is the modern cave wall for us, so The caveman inspired Instagram! This picture above can represent both a hunting expedition or a religious ceremony. Those were the main activities of the Paleolithic man. In conclusion, social networking has been existent since the beginning of humans and will most likely be around until the end of humans. 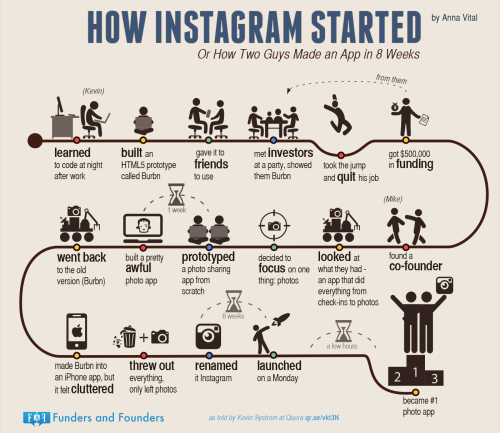 This is the real story of how Instagram started working. 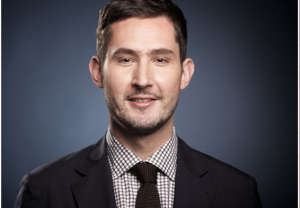 It started as a part-time project by Kevin Systrom when he was learning to code. 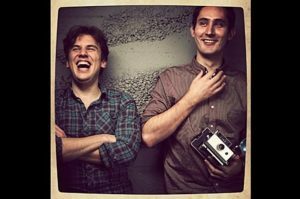 And after he met mike Krieger, they created Instagram! But first, let’s know more about them. Kevin was born on 30th December 1983. His mother worked as a marketing executive at zip car, and his father was the vice president of TJX company. He studied science and engineering management at Stanford University, and he did his intern at Odeo ( the twitter company). After graduation, he found a job as a marketing associate product manager at Google. He quit his job in 2009 (after three years) and joined a startup called next stop as a product manager. So he became more close to social media. In university, he worked on a photo sharing project for a class. It was an app for treating seasonal affective disorders named “Send me some sunshine.” The idea was that a user would send a photo of sunshine to another user on another side of the world ( with wintery climate and fewer hours of daylight) just to cheer them up. Kevin had no formal training in computer and coding, but he loved it. So while working at the next stop, he learned to code at nights after work and on the weekends, and he learned it by himself. After learning to code, he built an HTML5 prototype called burbn ( the name was inspired by his love of fine whiskeys and bourbon ) burbn was an app (multi-faceted) that allowed users to check in, post their plans and share photos like facebook. It was a mix of check-in and gaming _foursquere and mafia wars!_ and photo sharing in one app. But it was confusing, so it didn’t succeed. People were just using the app to share their photo. Coffee photos, dog photos, bathroom mirror photos! Everyday life photos. This was the time Krieger came on board. He joined systrom in Dogpatch labs at San Francisco’s pier 38. They looked at how burbn users loved photo sharing and then studied every favorite app in photosharing category. So they canceled burbn and started over. They spent some time experimenting and searching. There was a prototype for Instagram called scotch, but it didn’t have filters and was full of bugs. 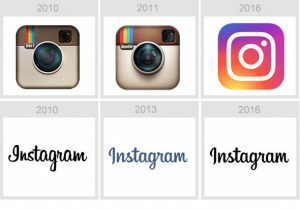 After months of trying, Instagram was created and launched on oct.06.2010. 25000 users showed up on the first day! After that, it was just growing itself. Instagram nailed the timing and hit one million users in three months! Then became 2 million which later became ten million users! And it was all organic growth without any advertisements. The first Instagram photo ever uploaded was the picture of the dolly ( Kevin systrom’s dog) when she was a puppy. Systrom said it was taken at Chilako tacos in Todos Santos. With Instagram’s massive growth in users, investors became interested. 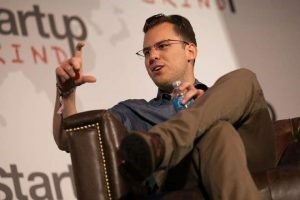 In Jan 2011, the company began to meet with interested parties, and one month after that, Instagram raised about 7 million dollars from a variety of investors including benchmark capital. After that, the company got the attention of the leading companies on social media, twitter and facebook. This gave systrom and Krieger the opportunity to hire more people, but they kept it lean with a few employees. Dorsey knew systrom from his intern time at Odeo, and he had a huge interest in the company. So, in March 2011 he offered around $500 millions in stock, reportedly. Systrom declined, he preferred that Instagram remain an independent company. By March 2012, Instagram reached to 27 million users, and it was released for Android phones in April. It was downloaded more than one million times in less than one day. The company received a new round of funding at a valuation of $500 million. In April 2012, Zuckerberg (the founder of Facebook) made an offer to purchase Instagram for $1 billion in cash and stock, with the provision that the company would remain independently managed. Shortly after that, Facebook acquired the company for $ 1 billion in cash and stock. December 12, 2010: Instagram has 1 million users. September 20, 2011: introducing version 2.0 with four new filters. September 26, 2011: 10 million users! April 3, 2012: Instagram launches on android too. 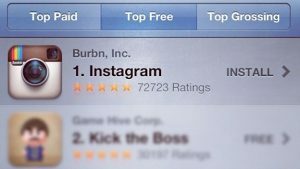 April 9, 2012: Facebook buys Instagram. 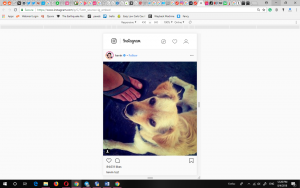 June 28, 2012: Instagram designs photo pages for the web. 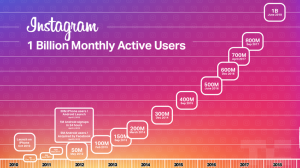 July 26, 2012: Instagram has 80 million users! December 11, 2012: Version 3.2 with a new filter. December 21, 2012: version 3.4.1 brings 25 languages in. May 2, 2013: tag photos on Instagram. June 20, 2013: introducing videos o instagram. December 12, 2013: introducing Instagram direct. Now: Instagram has more than 1 billion monthly active users, up from 800 million in September 2017. Instagram is now one of the most popular social networks worldwide. Instagram allows you to take ordinary photos and make them look extraordinary; this can be compelling. People don’t want to read long texts so they are more interested in watching videos and pictures and this is the baseline of Instagram. It’s simple and easy to use and free! 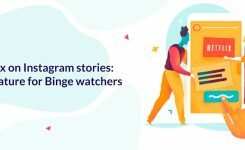 Instagram focused on doing one thing instead of trying to do too many things. It has a lot of fun features and updating by the daily needs of users. Doesn’t contain too many frustrating ads, nothing pops up! You can make an excellent business profile on in and make a lot of money from being an influencer. So, haven’t you find the story of Instagram inspiring? If you have anything to add to this history line or you have questions or anything, please comment below to get in touch with me.